This year, you can look forward to another exciting year of new economic and personal finance resources, free professional development, events, contests and more in 2018. We are a mission driven organization. Our goal is to continue to work with teachers and organizations nationwide to provide you relevant resources that will benefit you and your students in the classroom. We are thrilled to announce the release of eight NEW personal finance concept videos. Videos are a perfect compliment to your personal finance lessons; they cover concepts such as Human Capital, Compound Interest, Financial Markets, Credit Scores & more. CEE's National Economics Challenge (NEC) is the nation’s only high school economics competition. Each year, over 11,000 students across the U.S. participate in the competition. The NEC recognizes exceptional high school students for their knowledge of economic principles and their ability to apply problem-solving and critical-thinking skills to real-world events. economics and finance is so important to the future of our youth and our country. The National Personal Finance Challenge (NPFC) provides students with an exciting and motivating opportunity to build, apply and showcase their knowledge of this important subject. And it provides teachers with the opportunity to give their students essential tools to create financial stability and economic opportunity. Stay in the loop about this year's Conference! Receive information about teacher scholarships, registration, proposal submissions, sessions, speakers and more! Virginia middle/high school teachers and counselors: help your students prepare for and make informed decisions about education, career and debt. This program is provided at no charge and will be held at VCEE’s affiliated university-based Centers for Economic Education. Learn more about what's happening in your state. Get in touch with your local CEE affiliate to find out what workshops, programs and events are being held in your area. 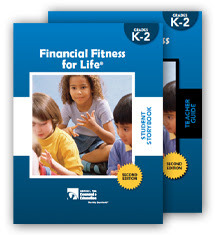 A comprehensive personal finance curriculum for K-12 students that teaches students how to make thoughtful, well-informed decisions about important aspects of personal finance, such as earning income, spending, saving, borrowing, investing and managing money.